The back office continues to be overlooked. In CB Insight’s recent FinTech Trends report, "Legacy technologies are pivotal in the functioning of the capital markets ecosystem, yet on average are ~38 years old and have remained static." The underserved remain underserved. Little has moved the needle thus far for consumer segments traditionally left outside of mainstream financial services, including immigrants, thin file citizens and the elderly. The Center for Financial Services Innovation estimates an underserved market opportunity of $173 billion in 2017. This is your opportunity to explore under the hood of FinTech ventures that are solving for these nuanced challenges. This is your opportunity to catalyze the future of financial services. Coalesce automates workflows for financial services users without any programming, learning on the fly as they do their jobs. Global asset managers, banks and endowments are use our product to automate their customer prospecting and servicing, risk analysis and compliance monitoring. Current diligence paradigm is document and labor intensive, prone to errors and bilateral. DiligenceVault has created a centralized platform that benefits both the buyside and sellside, while addressing the data and workflow challenges. OPTIONS.ai helps retail investors understand and use options, without months of education. A data company that is the first to measure trust and other emotional impacts to the financial sector. Rialto develops corporate bond trading tools for market participants that identify additional liquidity sources and counter-parties not available in the traditional market structure. Skopos Labs is an AI software platform that collects massive amounts of unstructured data to provide real-time forecasts of the impacts of events on companies and financial markets. Synswap is a blockchain-driven platform, designed to streamline and automate the entire post trade workflow of OTC derivatives. WalletFi allows bank customers to easily identify and move recurring charges and subscriptions over to a new card in their digital wallet. 7 Chord empowers bond traders with modern day predicative pricing and trading signals. We are tackling a $29 trillion fixed income market niche, with the $8 trillion corporate bond market the first on our list. David is a partner at F-Prime Capital and invests the firm's early-stage tech fund focused on FinTech and Enterprise IT. He has led investments in Cloudant (acquired by IBM), Kensho (acquired by S&P), FutureAdvisor (acquired by BlackRock), Flywire, EVEN Financial, Quovo, Toast, Axoni, Tradeblock, and Eris Exchange. David will share macro perspectives on the FinTech landscape and unfolding changes for startups and incumbents. Make your way through the main entrance and into the lobby. We'll see you at our welcome station where you will check-in and collect your name tag and security clearance. Don't forget to show us your ID! Then, head up to the venue on the 19th floor and find a seat. David Jegen shares his insights. FinTech Sandbox startups present a riveting product demo. Finally, you'll have a chance to dive deep into the presenters' products, get updates from Sandbox alumni on their progress, and network with other attendees. We're excited to welcome you to our first ever Demo Day in New York at Moody's Analytics headquarters in the Financial District. We're a Boston-based nonprofit founded to promote financial technology innovation globally by providing FinTech entrepreneurs with free access to critical data and resources. 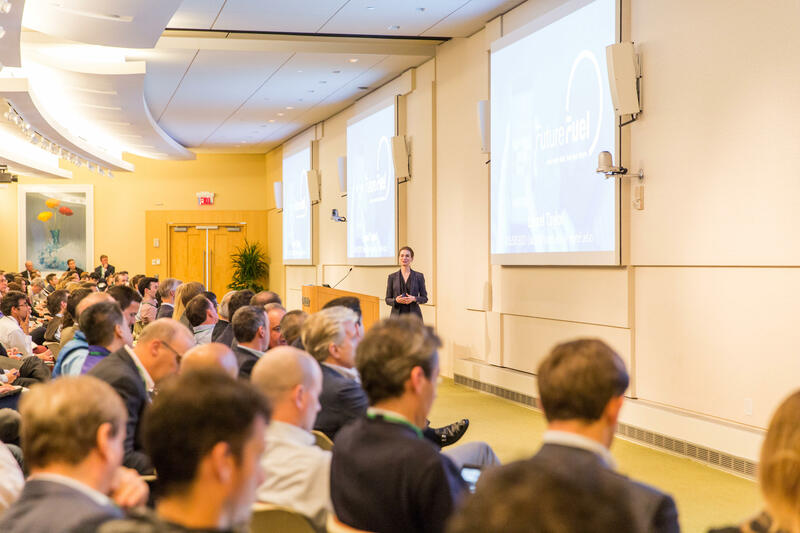 Our 6-month program accelerates product development through access to industry-leading data products, cutting-edge cloud services, and engagement with a diverse financial services community. We're sold out! Contact the organizer at the bottom of this page to request access to the wait list.